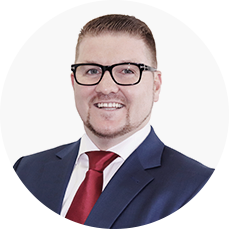 Graeme Holm holds a master in business administration and ranks among the top 100 brokers in the world. Apart from being an investment broker, Graeme is also the Managing Director of a financial institution called Infinity Group Australia, which he founded in the year 2013. The firm is located in different locations like Melbourne, Port Macquarie, Cronulla, and Bella Vista. Holm possesses vast expertise and experience in the financial sector, having worked for the four biggest banks in the world. He has had a pretty long financial and investment career that began more than 17 years ago. The main objective of Graeme when launching the Infinity Group was to offer assistance to the common Australian citizens by enabling them to secure their future through improving their financial conditions. His approach was mainly customer-driven, and from this, the organization has proved to be tremendously beneficial to the Australians. 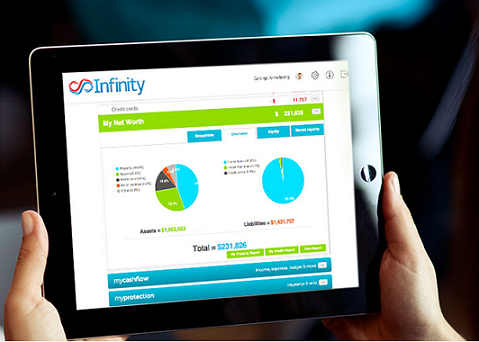 Currently, Infinity Group has grown to be one of the largest debt and financial management service providers in Australia. Following a recent interview that Holm discussed the finance and business, he indicated that it has been quite challenging to balance between the two aspects and also combining with enjoying life. During the interview, Graeme Holm indicated that the Australian citizens had been receiving poor financial deals from the operators of the financial sector. He stated that the reason behind the foundation of their firm, Infinity Group, was the frustration that he got from his efforts to push for better financial deals for his fellow Australians while the financial institutions continued to exploit them. This, among many other factors, motivated Holm and his wife to establish Infinity Group, which has made a great impact on the financial operations of the country. Their principal motive was to the provision of improved financial deals and services to the Australian families. Since the formation of the organization, Holm’s wife, Rebecca Walker, has been his business partner and they have shared common passion and interest in assisting the Australians. The main work of the firm is to provide retirement solutions and other debt management services and also wealth creation. Since the formation of the organisation, Australians have managed to pay off their loans three months faster than they used to pay before the emergence of Infinity Group. This is attributable to the kind of advice given to customers on the mortgage repayment and also the support they Infinity Group offers to them. The customers get monthly reviews and budgets guiding them on the best ways to clear their loans and make them more successful. Infinity Group Australia came up with this initiative after the founders noticed a gap on these issues in the mortgage market. Customers lacked sufficient support from the lenders, an aspect that could be attributed to the high rates of financial mismanagement by the borrowers and sometimes leading to poor financial planning. Graeme Holm took the initiative to establish a financial institution that has acted as a personal banker to the Australian citizens, offering all the necessary support needed for proper management of loans and mortgages. Infinity Group Australia reviews indicate that most of their borrowers are happy about the supportive approach of Infinity Group. They have come to love the organization because it provides them with the peace of mind. The firm also makes sure that the bills of the borrowers are cleared, and hence they have no reason to worry about such issues. One of the clients of the organization confessed that since he joined the Infinity Group’s family, he has been happy and consequently his family is happy too. They can afford the joy they longed for a very long time as a family before Infinity Group came into the picture.